Do you ever enter draws at country fairs? I love the thrill of an occasional draw, that bubble of potential that exists between when you put your ballot in the box and when the winner is drawn. It’s fun because the fantasy of winning something, little or big, is a great summer escape. In the spirit of my daughter’s game, we’re hosting a fun prize draw this month. 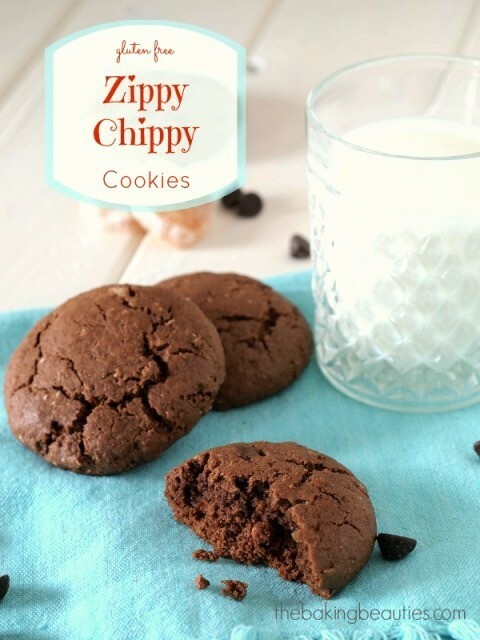 If you’re reading this recipe blog, chances are you like to bake and cook. 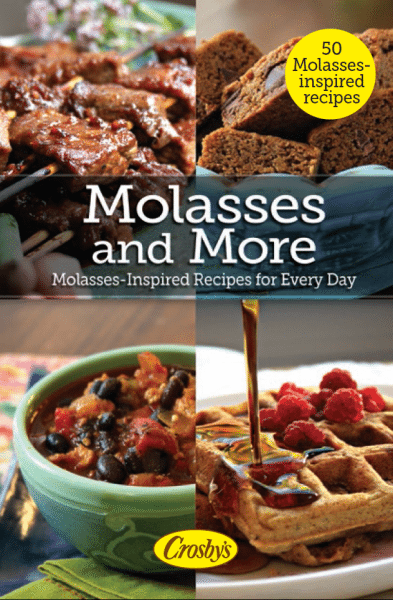 So, what would you do if you won a sturdy apron, some baking utensils and a printed copy of our brand new cookbook, Molasses and More? There are several ways to enter and a chance to get up to four ballots in the hat. Just follow the instructions below. 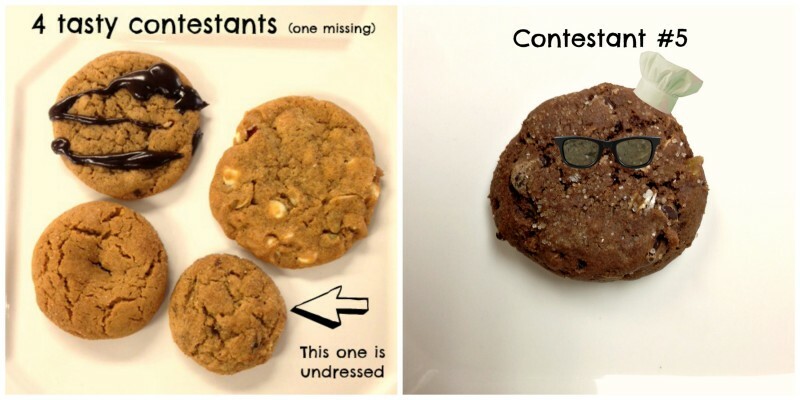 Judging a cookie contest is delightfully difficult. All that nibbling – first for taste, then for texture. Onto the next cookie, and the next, next, next, then back to the first to compare, and compare again. Hmm, I think this is my favourite. But wait… let me taste that one again. This is our first ever cookie contest with Canadian food bloggers (and Food Bloggers of Canada) and let me tell you, it has been a slice. 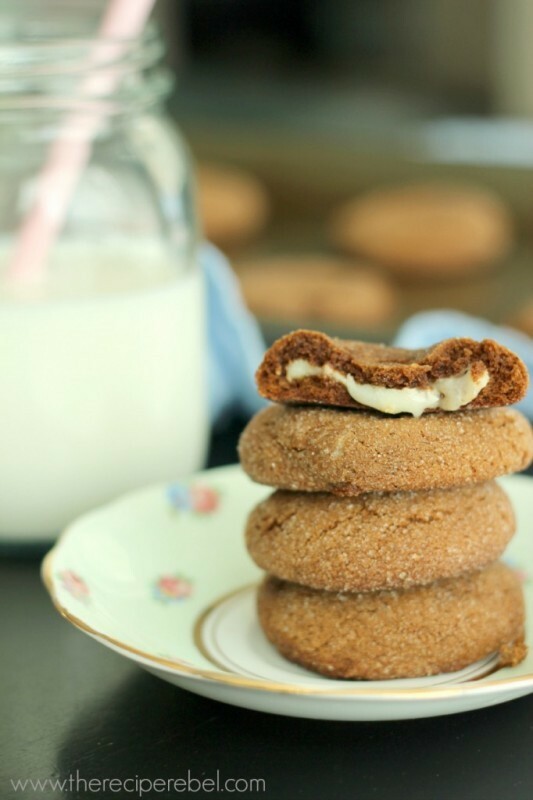 When you love molasses cookies as much as we do every entry was a winner. But there can be just one winner and two runners up so here is our short list…. The bright flavour of orange zest and the beguiling flavour of cardamom helped get this cookie into the top five. 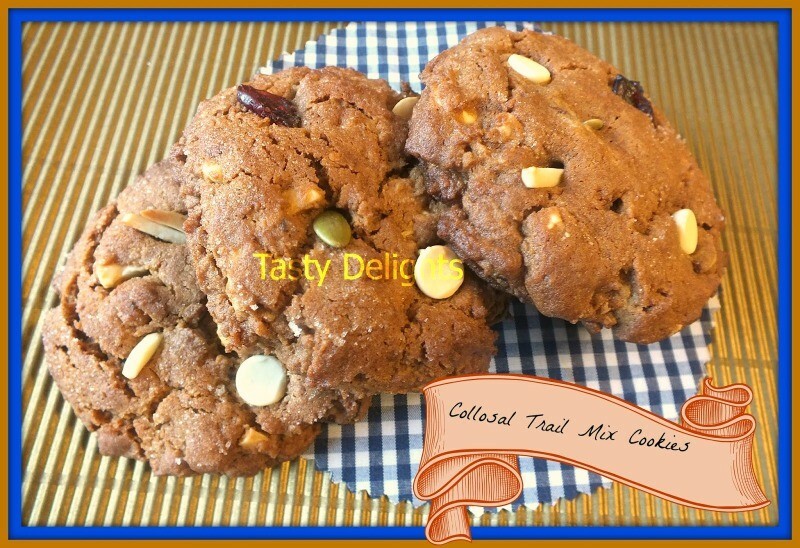 Rum soaked raisins paired with coffee and chocolate chips made this cookie irresistible. A classic molasses crackle cookie with a double twist — made with coffee, chocolate and a good dose of crystalized ginger, and gluten free. 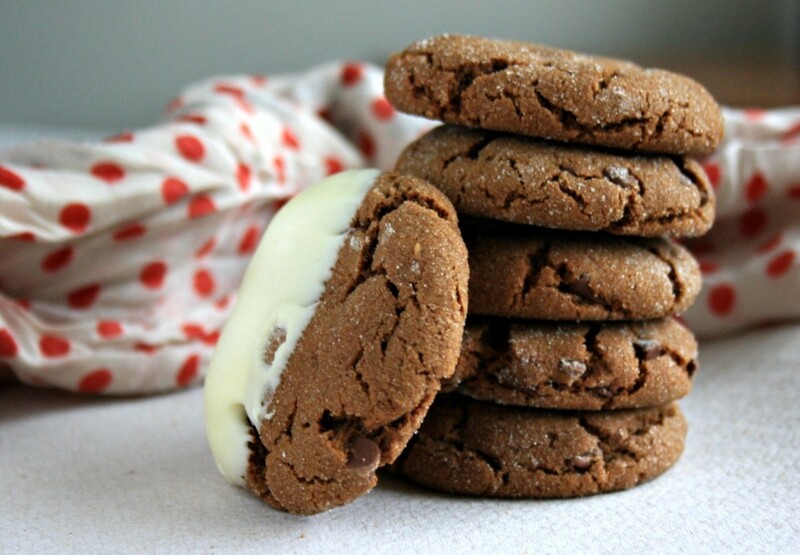 Technically not a gingersnap this soft molasses crinkle cookie has a creamy truffle surprise inside. All those figs, Calvados and a touch of balsamic vinegar had us intrigued. The Winner and two Runners Up will be announced later this week. $200 cash for first place. Two runners up will each receive $100 cash. The winning cookie will be featured as the Crosby’s “Pillow Treat” at FBC 2014, an in-room gift for all conference attendees. Full recognition will be given to the winner. 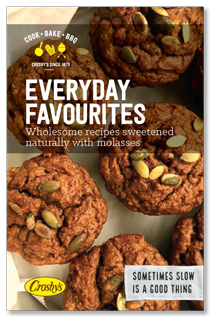 The winning cookie will be featured as the cover cookie in our 2014 Back-to-School eBook, will full recognition and a link back to the winner’s blog. 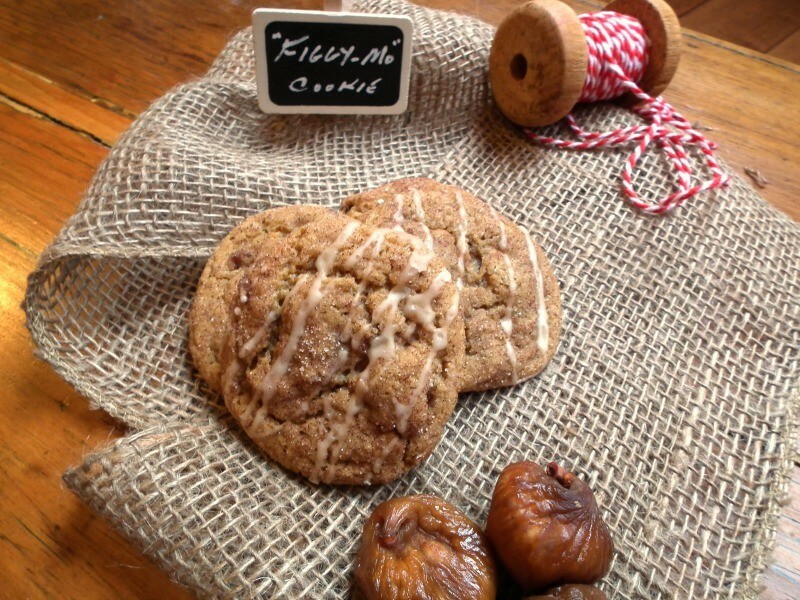 Cookie must be made with fancy molasses, and recipe must include at least ¼ cup of molasses. 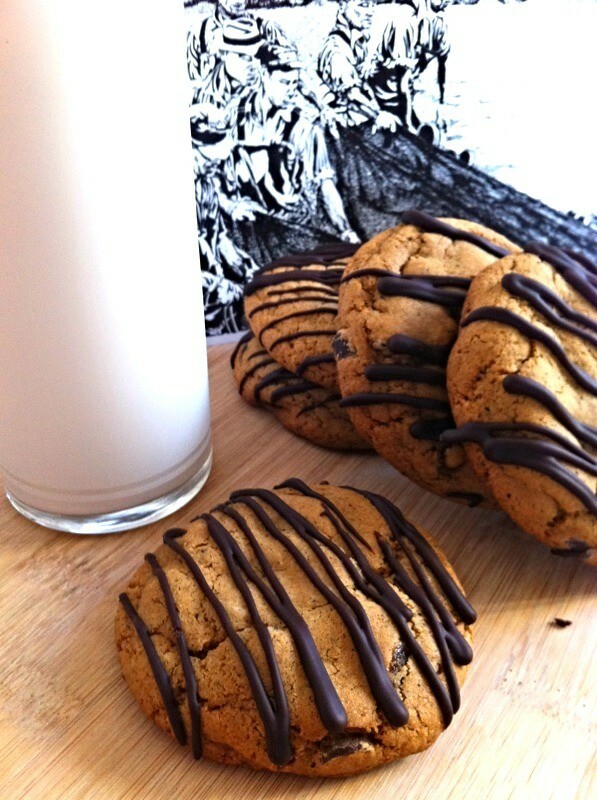 Cookie name: The entry will be judged according to how creative/clever/memorable it is. The blog post: The entry will be judged according to the appeal of the photo and the story to go with it.  Between the dates of April 1st and May 4th participants will post their recipe to their blog and email the link to me (bridget.oland@crosbys.com), with the subject line: Crosby’s Cookie Contest Entry. This email will constitute each participant’s official entry. One entry only per blogger. The email entry must also include participant’s full name. Participants must be Canadian food bloggers (but need not be members of Food Bloggers of Canada). 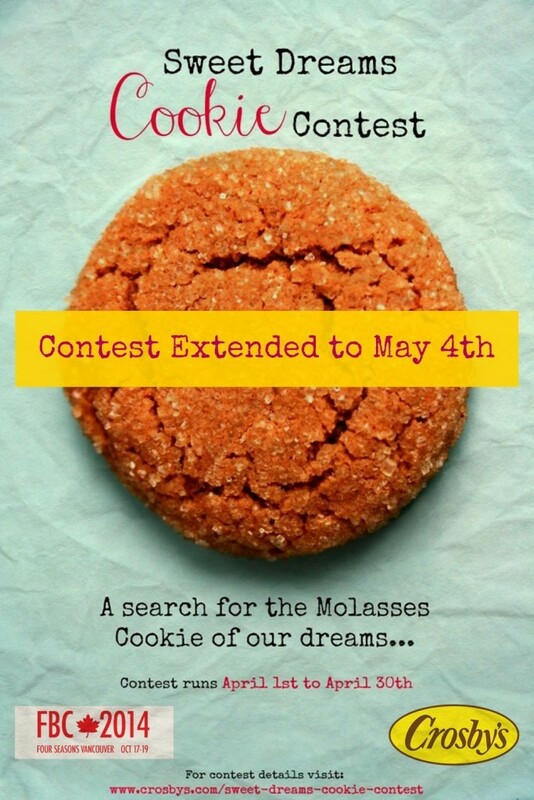 Crosby Molasses Co Ltd reserves the right to create a Cookie Contest eBook featuring contest entries. Cookie eBook would provide blogger recognition and blog URL for each entry. A short list of entries will be determined based on the judging criteria. 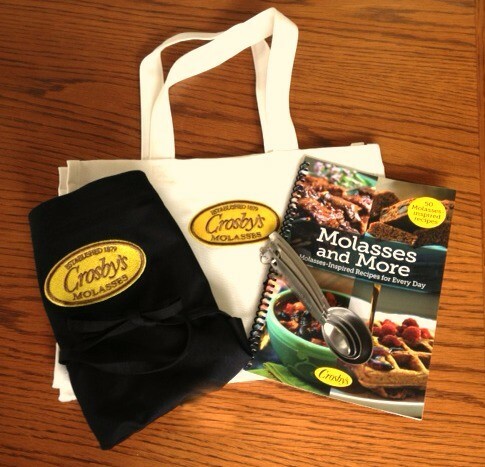 The top five entries will be baked/tested by Crosby Molasses to determine the winner and two runners up. One (1) Winner to receive $200 cash PLUS the entry will be featured as the Crosby’s Treat at FBC 2014 PLUS the entry will be featured in Crosby’s Back-to-School eBook. Two (2) runners up to each receive $100 cash and their entries will be included in Crosby’s Back-to-School eBook. Official Rules & Regulations for the Crosby’s Cookie Contest. 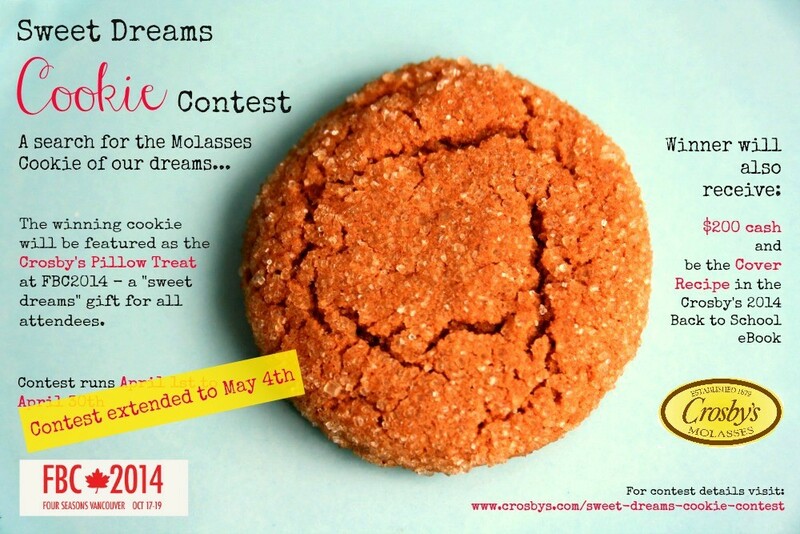 Crosby’s Cookie Contest begins at 12:01 a.m. AST April 1, 2014 and ends 11:59 p.m. AST May 4, 2014. Judging to select the finalists will take place between May 1, 2014 and May 19, 2014. The winner and finalists will be notified by May 26, 2014. This challenge is only open to legal residents of Canada who are at least 18 years of age as of January 1, 2014. Individual contestants can enter only once. Participants do not need to attend FBC2014 in order to be eligible to participate in the Crosby’s Cookie Contest. The employees of Crosby Molasses Co. Ltd. and the immediate families and those living in the same household of any of the above are not eligible. All federal, provincial and local rules and regulations apply. Once submitted online Crosby Molasses Co. Ltd. Reserves the right to use the recipes and images for promotional purposes, with credit to be given to participants. By entering this challenge, entrants grant consent to use winners’ name and likeness for editorial, advertising and publicity purposes, without further compensation (except where prohibited). All challenge rules are subject to change by Crosby Molasses Co. Ltd. without notice. Crosby Molasses Co. Ltd. is not responsible for any damage to participant’s computer occasioned by participation in this challenge. By entering and participating in the Sweepstakes, each entrant agrees on behalf of itself and each of entrant’s heirs, executors, and administrators (A) to release and hold harmless Crosby Molasses Co. Ltd. from any and all liability, rights claims and causes of action that entrant may have or which may arise against Crosby Molasses Co. Ltd. for any illness, injury, death, loss, litigation, or personal or property damage that may occur, directly or indirectly, whether caused by negligence or not, from such entrant’s participation in the or Sweepstakes and/or his/her acceptance, possession, use, or misuse of Prize or any portion thereof (including any travel related thereto); (B) that Released Parties have neither made nor are in any manner responsible or liable for any warranty, representation or guarantee express or implied, in fact or in law, with respect to any Prize, including, without limitation, to such Prize’s quality or fitness for a particular purpose; and (C) to be bound by these Official Rules and to waive any right to claim any ambiguity or error therein or in the Sweepstakes itself, and to be bound by all decisions of Crosby Molasses Co. Ltd., which are binding and final. Failure to comply with these conditions may result in disqualification from the Sweepstakes at the sole discretion of Crosby Molasses Co. Ltd.